Getting rid of toys before Christmas is one of my biggest holiday struggles as a mom. I know I’m not alone in this struggle to encourage kids to declutter their toys. As if us moms didn’t already have enough on our plates during the holidays, right? After years of working with my kids to clean out their toys before the holidays, I’ve found a few approaches that actually work, including one that involves The Elf on The Shelf! All of these approaches and tips have worked wonders for us over the last 3 years. I don’t think one works better than the other. Instead, we use a combination of all of these hacks to encourage our kids to clean out their toys before the holidays. This is my favorite one because it takes the blame off of me as a mom and puts it all on the Elf on the Shelf. 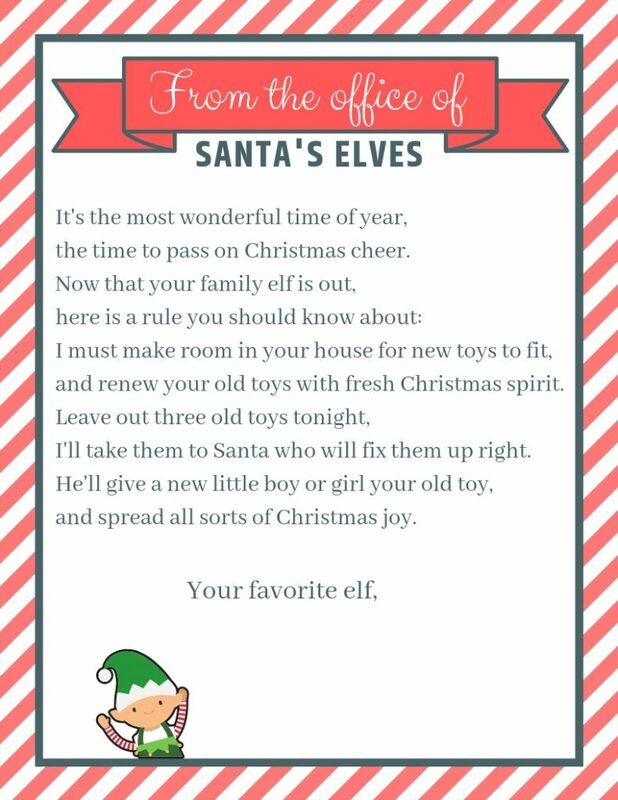 Our Elf on the Shelf visits us on the first night with a special poem for the kids. He explains that he needs to take at least 3 toys from our house that the kids have outgrown or don’t play with anymore. Of course, Santa is eco-friendly and likes to recycle toys. The Elf will take our toys back to Santa’s workshop so Santa can fix the toys and pass them onto more boys and girls. In reality, the toys go to charity or our friends. When the toys go to our friends, the kids aren’t confused because they already know that Santa recycles toys. I have to admit, this is one of my finer moments as a mom. Months before Christmas we start reminding our kids that our Elf will be taking away at least 3 toys from our house. We stick with 3 because in our house Santa gives each kid 3 toys just like baby Jesus received 3 gifts from the wise men. Since they receive 3 from Santa, we figured it made sense to get rid of 3 too. However, your Elf on the Shelf may have different rules! the time to pass on Christmas cheer. and renew your old toys with fresh Christmas spirit. I’ll take them to Santa who will fix them up right. and spread all sorts of Christmas joy. 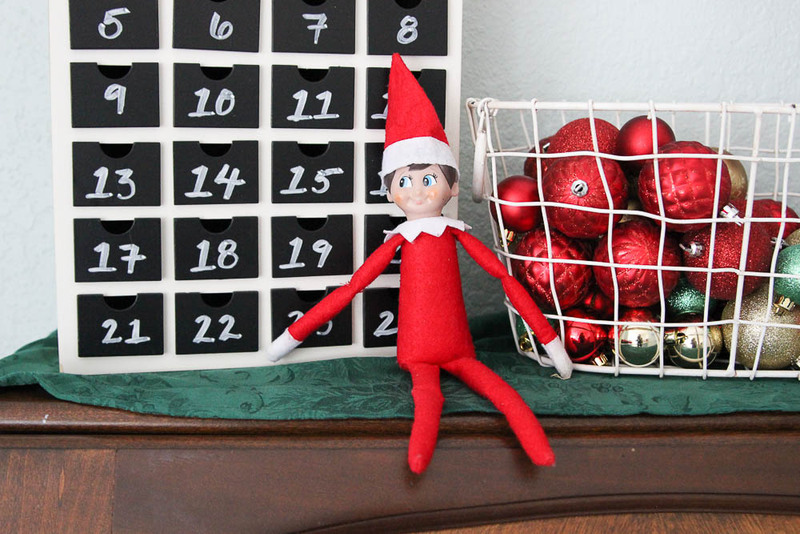 Related Post: Get Easy Elf on the Shelf ideas here! I talk to my kids a lot about how they have to play with their toys if they want to keep them. 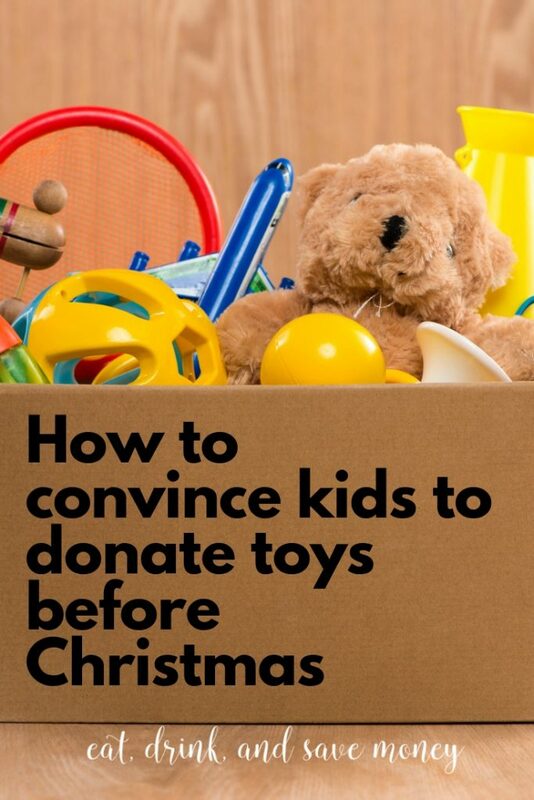 They know that if they aren’t playing with a toy, it gets put in the garage and eventually donated to charity. Make a household rule that if you don’t use something for a certain period of time, you get rid of it. For toys, we make that rule 2 months. If my kids have not played with a toy in the span of 2 months, I get rid of it. I talk about it often with them so they aren’t surprised. Just try this and you’ll be amazed by how often they will actually play with their toys. When my kids ask to watch another movie, I usually remind them that they have too many toys that they haven’t played with lately that might be donated soon. This is a great way to get kids off devices and back into toys. 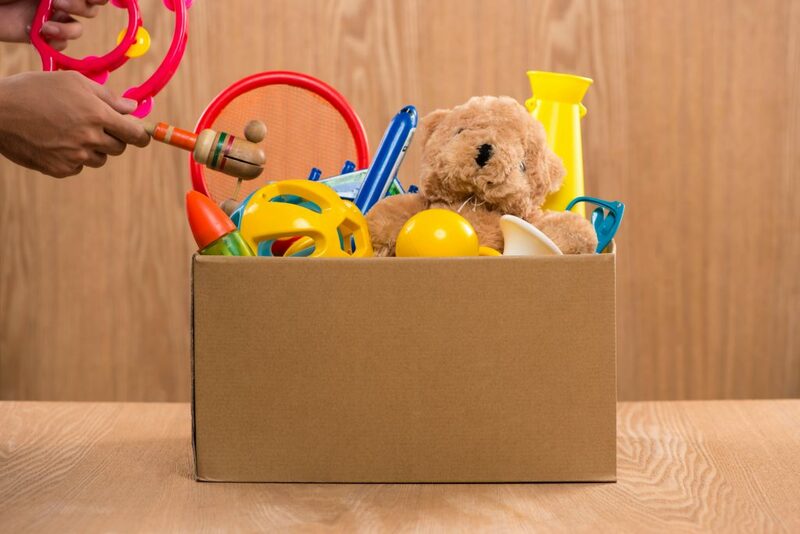 Designate a bin in your house for donating old toys. Periodically put it out near the toys and encourage your kids to fill it up with toys they aren’t interested in anymore. Remind them that this is part of making room for new toys. If you give them the choice to get rid of toys, they will feel more in control. This takes time though! I usually have to do this 3-5 times before Christmas to actually fill up the bin. Don’t attempt to get all done in one day. Pay attention to what the kids play with and when you notice they haven’t played with something in a while, ask them if they’d like to add it to the donate bin. Pro-tip: Don’t keep this bin out in the open. Otherwise your kids will keep taking toys out of the bin. Hide it in the garage, attic, or closet. This is the hardest one for me to remember to do, but when done correctly, it’s effective. Encourage everyone in your house to live under the rule: “One in, one out”. For everything you buy, donate or sell something. When my kids ask for a new toy in the store I either tell them to wait for Christmas or to consider getting rid of an old toy first. We don’t have a set rule of how many toys our kids have, but following this rule keeps our toys from taking over our house. If you consistently talk about decluttering all year long, it won’t be a shock to the kids when you want to declutter toys before Christmas. Make this a conversation that you keep on the table throughout the year and cleaning out toys for Christmas will come easily. It’s taken us about 3 years to get there, but now my kids easily get rid of toys. They know that more toys are coming so it’s not a bad thing to get rid of the old ones. While I love involving my kids in the process, I also declutter a lot when they go to grandma’s house. I put toys in the donate bin and wait a few days to see if the kids miss them. In not, I donate the toys. I don’t recommend only decluttering with out the kids because the goal is to encourage kids to do this on their own. However, sometimes a mom has to do what she’s got to do! If you have to declutter without the kids, just do it! Then start talking with your kids about how to get rid of old play things. This way they will be prepared the next time you want to declutter.